One of the fastest ways to send money is via wire transfer. It is a direct bank to bank transaction that allows you to move money from your account directly into the account of someone else. This is because there is an agreement set up between the banks, allowing for this transfer to take place. When a wire transfer is made from one bank account to another, both account holders are verified. Additionally, the amount of money in each account is verified, so there are no charge backs associated with wire transfers. In general, a wire transfer is fast and secure. Since it is handled individually by the banks, and does not go through a clearinghouse first, a wire transfer can take place almost in real time. Financial institutions often charge fees for receiving wire transfers as well. Because a little more effort has to be made when receiving, since the institution is contacted directly, many banks and credit unions will charge a fee to receive transfers. However, the fee to receive a transfer is often less than the fee to send a transfer. 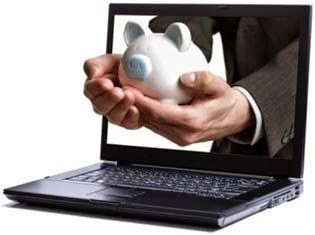 Wire transfer also does not have to take place from bank account to bank account. Western Union and MoneyGram are companies that make use of wire transfer with its funds. When you go to a Western Union or MoneyGram provider, you can accomplish a cash wire transfer. You take the money to the approved Western Union or MoneyGram counter, pay the fee, and then the person on your end verifies it with the person on the receiving end. A Western Union or MoneyGram wire transfer can take as little as 10 minutes if everything goes well. While it may seem similar to a wire transfer, a transaction accomplished with the help of an automated clearing house (ACH) is not the same thing. The banking system has used the ACH method for close to 40 years. These types of transactions can be quite convenient. They are the sorts of transactions that you make when you use online bill pay, and often when you use your debit card. When you arrange for the electronic transfer of funds, all of the information is included in a batch, which is then sent to the clearing house. All of the transactions in the batch then handled by the clearing house, rather than as a direct bank to bank transaction. Additionally, banks receive their ACH transactions at once as well, processing those as a single transaction, in a batch. This simplifies the process, since each individual transaction does not need individual attention; it is all automated. As a result, your money is not available as quickly as it often is with a wire transfer. The ACH process is more convenient, and less expensive, but it also takes a little bit longer. This is why you often have to make sure that bill payments are scheduled a little bit early. Additionally, when you deposit a check, the ACH system means that the funds from the writer’s bank will not be cleared until the batch is run. So you will not have access to all of your money until at least the next day in many cases (and sometimes longer). You need to account for this when making deposits and planning on automatic bill pay and other transactions. Otherwise, you might be subject to overdraft fees. If you have some time, sending money electronically through the ACH system can be a good choice. However, if the money needs to be transferred more quickly, you may have to pay the fee and get a wire transfer.